We are remarkable enterprise, involved in offering superior quality Acrylic LED Signage Board. high illuminated best quality different looking first time in India. Mini Letters 25mm Solid Acrylic LED letters backlit for shop front. Manufactured by the state of art CNC machines and use of high quality led, the led letter signage is one of the most modern display for a shop front. 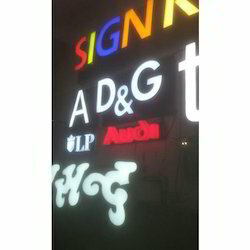 Contact us to get your LED Letter Signs. 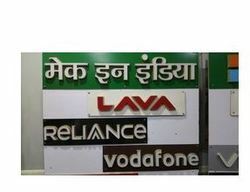 We are Leading manufacturer of Cinema Sign Board in Delhi NCR. We are offering Signage System to our client.